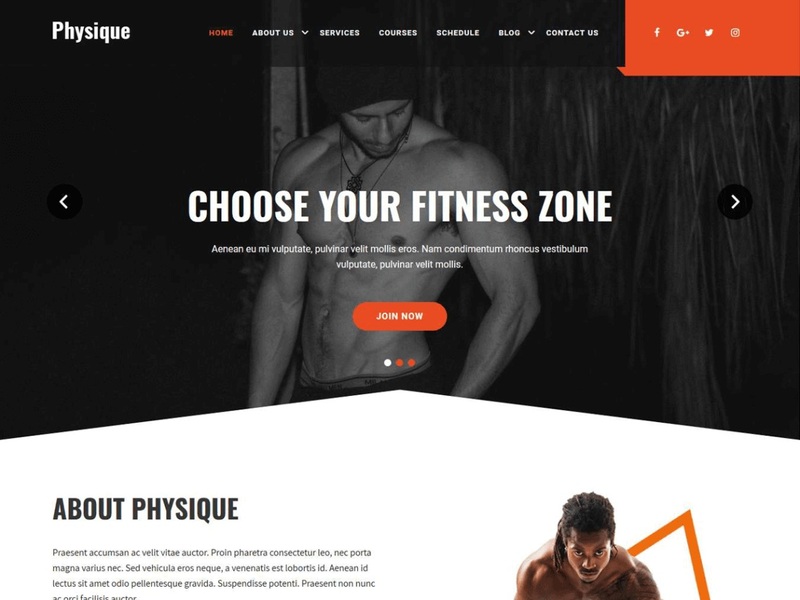 Physique is a responsive and stylish Gym WordPress theme. This theme is specially built for Gym Fitness, sports club, fitness center, yoga athletes, sportsman, trainers, coaches, runners, sportsmen, and all healthy lifestyle people. This theme comes with all kinds of features like homepage sections, font settings, slider settings, color settings, page templates, widget settings etc. Its a fully responsive theme works across all the resolutions also is compatible with the major web browsers like firefox, chrome, safari, opera etc.